Do you have a cook on your list of Christmas gifts to buy? 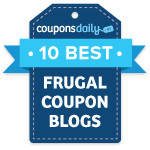 Or maybe need a slow cooker for Thanksgiving? Sears has you covered. 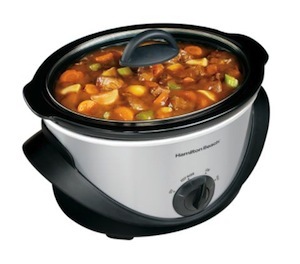 Right now, Sears.com has the Hamilton Beach 4 Quart Oval Slow Cooker on sale for just $9.99. That’s a 55% savings off the regular price of $22. To find this item quickly, search for item number 00814133000. You can also choose free in-store pickup to avoid paying for shipping. This deal probably won’t last long, so if you’re interested or think you know someone who is, make sure you buy yours soon.